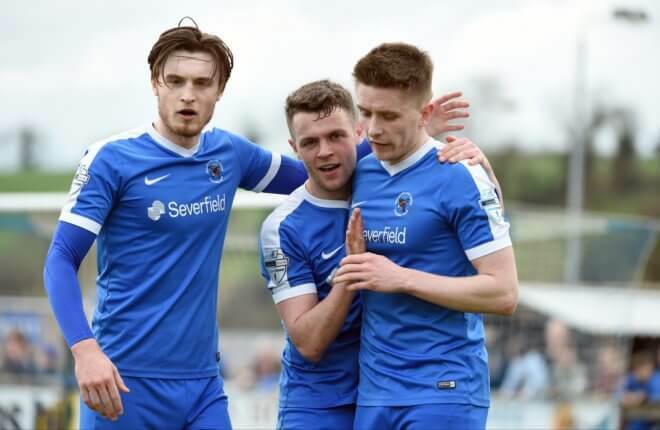 The penultimate round of Premiership fixtures sees Ballinamallard United travel to the Bangor Fuels Arena in search of three precious points as the club continues its battle for top flight survival. 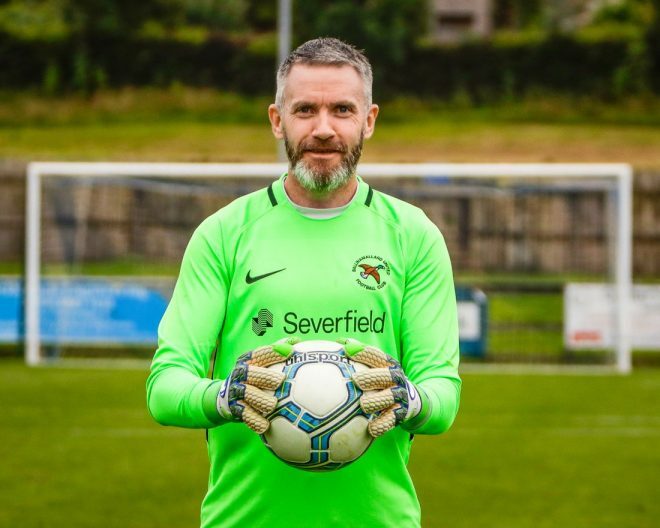 Last night’s basement battle with Carrick will have had a big bearing on the relegation race, but Mallards boss McConkey knows that, with six points still to be played for there’s still plenty at stake. 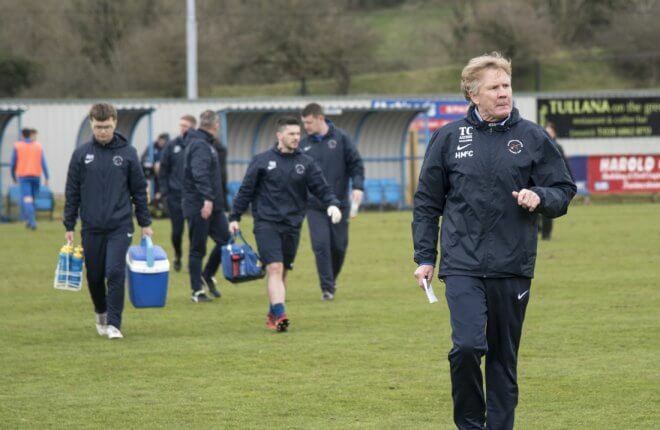 While Ards don’t have much left to play for McConkey is still expecting a feisty reception from the Clandeboye side. The sides last met at the start of March in Ferney Park. That day the result was a chastening 0-4 defeat in the twilight days of Gavin Dykes reign. Despite that spanking, the new incumbent in the Ducks hot seat believes his side can take some crumbs of comfort from their performance that day. The artificial surface at Ards is sometimes cited as the club’s 12th man, but McConkey is confident it won’t be a factor on Sunday. In fact, he expects it to be a plus for a Ballinamallard side which likes to get the ball down and play. “We are used to training on a 4G so that helps our preparation. But Ards have got a great youth system and have introduced some youngsters lately and they’ll have great legs and energy. 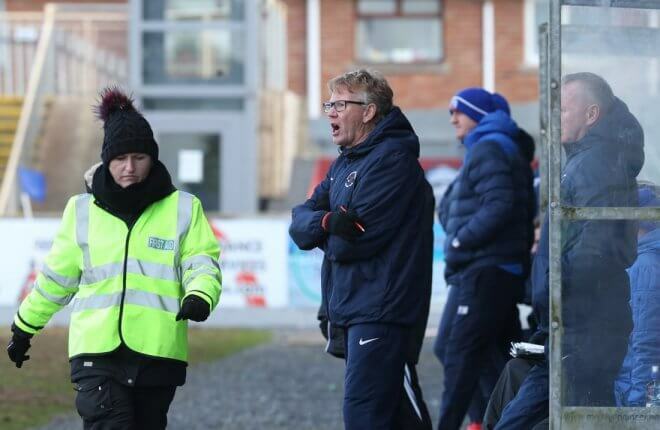 With Saturday’s fixture Ballinamallard third in seven days the manager admits that stewarding his squad through the dying days of the season is one of the biggest challenges facing him. “We are going to have to work very hard on this and look closely at it. Davy Kee has groin problem and will be very doubtful for Ards. We have Stuart Hutchinson who having got over a calf muscle now has a groin problem as well. “O’Reilly did his hamstring and right back Michael Kerr has gone to Iceland. Curran did his ankle, he got two very bad bangs on the ankle against Dungannon and he’s struggling. O’Flynn up top had two double hernia operations some time ago, but he tweaked his groin and ankle on Saturday. “I don’t want to list those with a poor-me attitude, but the bottom line generally is that, yes, we have players carrying knocks and who are feeling the demands on them.